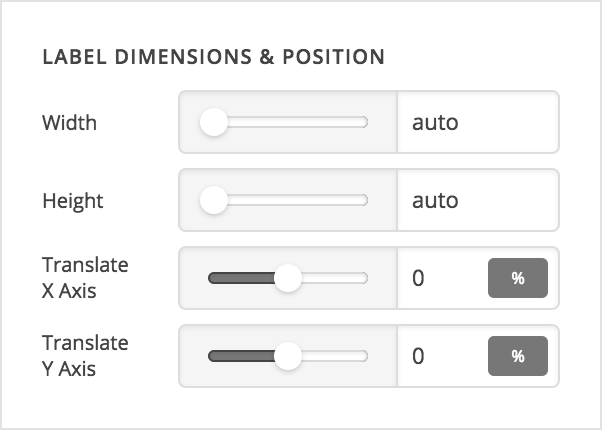 The Statbar element is available across all three builders. The Content Builder, the Header Builder and the Footer Builder. The purpose of the element is to be used as a way to display statistical information in an engaging way. 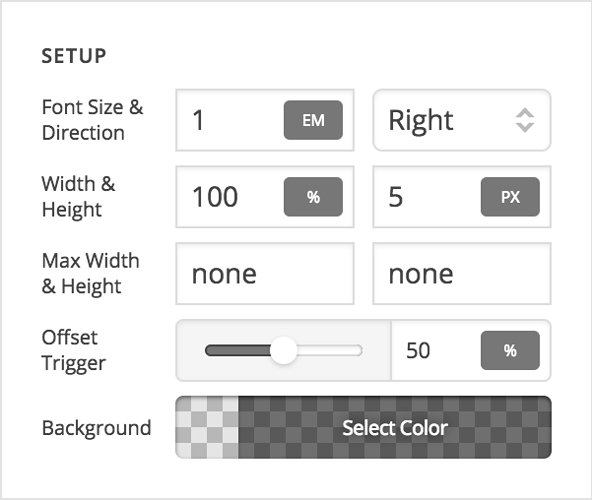 Additionally, the Offset Trigger control is another custom control that is important to take note of as it determines how far down the screen a user should scroll when the bar becomes active and animates in. 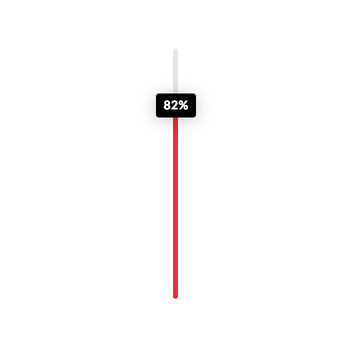 For example, if you set it to "90%," when the bar is 90% from the top of the screen in your browser window the bar will be triggered. If it was set to "10%," it would trigger when it was 10% from the top of the browser window. 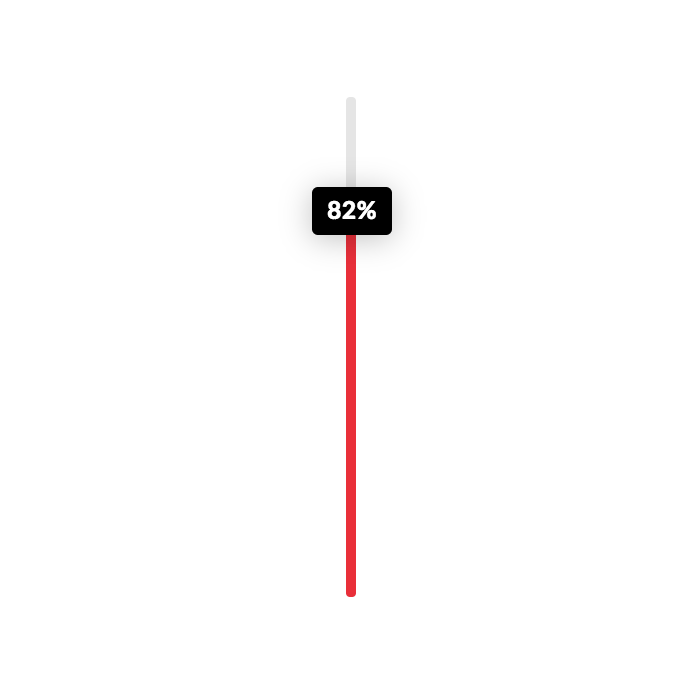 So keep in mind that larger percentages will trigger the active state sooner, while smaller numbers will take longer to get towards the top of the viewport. For this section, the only custom control to take note of would be the Length control in the Bar Setup box at the beginning of the control grouping. This will determine how long the bar inside the outer wrapper should be. This is also where you can set the background color for this inner bar. After that, you will find border radius and box shadow control to style this inner bar appropriately. For instance, you might wish to have the bar's border radius match the outer container's border radius, or be offset a bit if the container has a border. You can also use the box shadow control to create more depth. First, we can choose to turn the label completely off if desired. This can be a great way to use the animated bar effect as a decorative flourish instead. 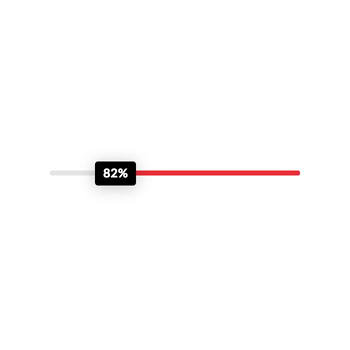 Next, we can choose to use Custom Text, which will replace the percentage of the bar length that shows up inside the label by default. 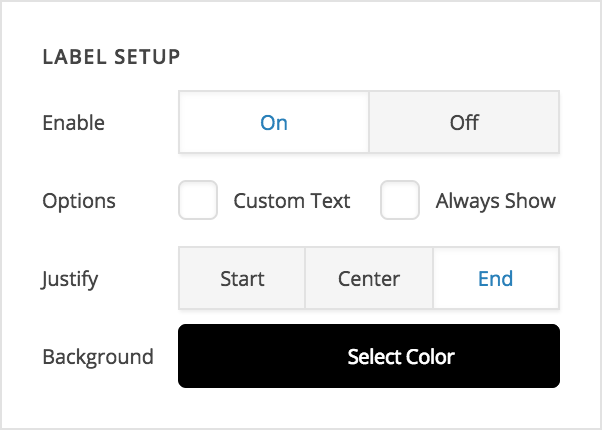 Clicking this checkbox will reveal an input where you can place your custom label. We can also select Always Show if we want the label to be always visible. 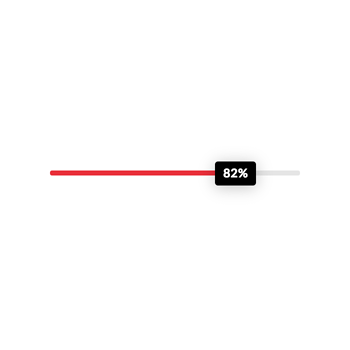 By default, the label is hidden and it will fade in to match the bar animation when you scroll down the screen; however, you may wish for it to be present at all times. If that is the case, you can select this option to ensure that it doesn't animate in. Again, take note that the label is positioned relatively to the bar inside the Statbar Element, not the Statbar itself. Also, keep in mind that these positions will all be output a little differently depending on the base direction the Statbar is going in. Play around with these values to see what you can come up with, there are tons of possibilities! After that, you will find the traditional controls for things such as padding, borders, shadows, text, et cetera.